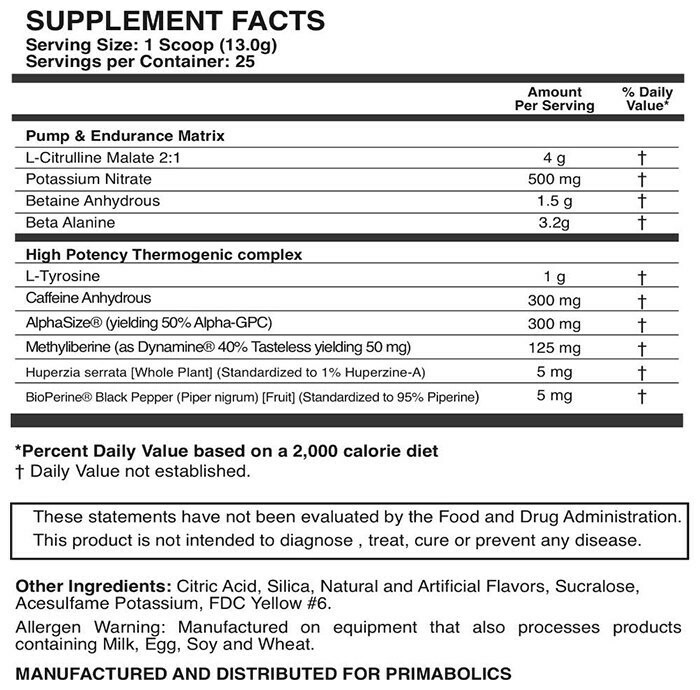 Warfare is a pre-workout supplement made by Primabolics. 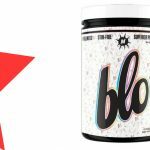 It’s designed to improve performance, pumps, and energy for better workout quality. 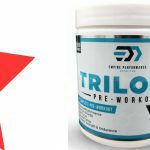 Primaforce is a new Australian brand which has a small range of products including an intra-workout, metabolic supplement and two pre-workouts. Citrulline and nitrates both boost nitric oxide levels in the body. This dilates the blood vessels, resulting in improved blood flow, endurance, and pumps (1, 2). 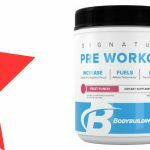 Betaine is a naturally occurring compound found in sugar beets. Research shows that it may be useful for increasing power output, and could also improve body composition (3). An effective dose is 2.5g. It works by counteracting the build-up of acid and free radicals which occur during intense exercise (4). Tyrosine is an anti-stress amino acid. It reduces the effects of stress hormones, improving performance under stressful or fatigued conditions (5). Caffeine is a stimulant which improves energy, alertness and physical performance (6). The effective dose varies with the user, but is usually between 200-500mg. Alpha GPC is a form of the brain-boosting compound, choline. It’s been shown to improve memory and focus effectively, however it may also increase power output (7). The effective dose for this is about 600mg. Dynamine™ is a trademarked caffeine derivative. It acts in a similar way to caffeine, but is said to be quicker-acting and slightly stronger. Huperzine-A is a compound which reduces the breakdown of acetylcholine, a “learning” neurotransmitter. This can improve mental performance, and is likely to work synergistically with Alpha GPC (8). An effective dose is 50-200 micrograms. Athletes wanting to improve all aspect of their workouts may benefit from using Warfare. Mix 1 scoop (13g) with 250mL water, and consume 30 minutes before your workout. Caffeine and Dymanmine™ are stimulants that may cause rapid or irregular heartbeat if taken above the recommended dose. Some ingredients are less than the effective dose. 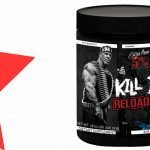 Warfare is a good all-round pre-workout, which caters to all aspects of workout performance. The formula should do well for pumps, endurance, and energy. Multiple ingredients are supplied for each of these effects. 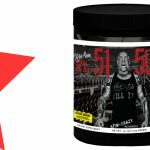 Some of the ingredients are under-dosed, which slightly spoil what could have been a near-perfect pre-workout supplement. 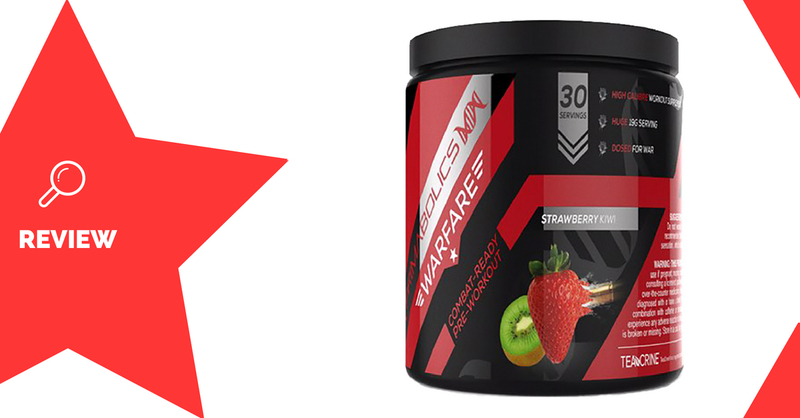 Warfare is available in multiple flavours to suit everyone’s tastes.